Singh Movers provides the best quality Furniture Removals services from the topmost Removalists Keilor Park. With over 10 years of proven track record, Singh Movers has a dedicated team of professionals who have fully equipped model tools and the appropriate knowledge to carry the Furniture Removals. 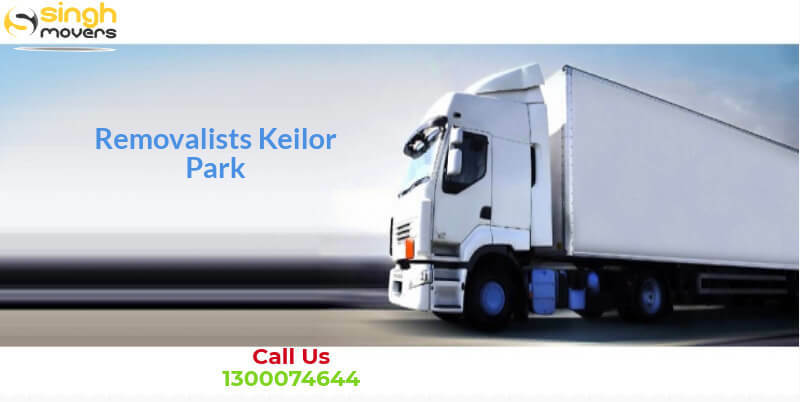 There are many of the FURNITURE REMOVALISTS KEILOR PARK available in the city but not everyone can understand the requirements of the customers fully. The client who wants to avail FURNITURE REMOVALISTS KEILOR PARK services, check each and every service to the detail. They prefer a one-stop-shop which also saves their precious time and hence Singh Movers is a perfect choice for these types of clients as we provide integrated services including almost every facility including even storage facility for a couple of days. This ensures a high level of customer satisfaction. Singh Movers don’t compromise on safety, so you can rest assured that whether moving locally from the streets or from any corner of the city, our team of trained professional will always choose safe Furniture Removals procedures. Singh Movers value their clients high and offer them with a plethora of services in the form of specialized packages which are low on budget and more specific to each individual’s requirements. Singh Movers offers its clients a complete door to door Furniture Removals Services. Singh Movers is happy to serve all the residents of Australia. Whether you are moving locally, interstate or anywhere, Singh Movers And Packers will help you at every point. We are known as the best Interstate Removalists as well and are ready to help you with the affordable prices of the timely service. We have successfully served most of the Australians in the house moving job as we provide them with the peace of mind and the amazing work of House Removals. Singh Movers And Packers will then convert your House Removals work from monotonous and tense to the easiest job. We are not limited to a particular city instead we offer services all over Australia for the easiness of our clients. To all the Australian residents, worry not in any case as Singh Movers And Packers will offer you with the best services at the low-cost prices. Our team of HOUSE REMOVALS is well trained and have years of professional and are always ready to take responsibility for the safety of the goods. The goods are packed depending on the type of goods. So, don’t think much and hire the house removalists of the company Singfh Movers. At Singh Movers, Safety is a Way of Life! We not just provide shifting but also have all the safety procedures in place. Our customers are our family, so we execute our work as if it’s for our own homes. We use professional tools which include trolley, dollies, heavy duty blankets, toolkit for assembling, and disassembling furniture, ropes, shrink wraps etc. For shifting various types of upright pianos and other heavy but delicate items, Singh Movers also have professional sturdy trolleys and ramps. What you see is what you pay, that’s it! Singh Movers are not one of those next-door companies who would provide you with a budgeted quote at the beginning just to impress you and then ask for other charges after that. Our success lies in the satisfaction of our clients and hence we show all the charges beforehand to the clients so that things are transparent and there are no surprises afterward. We are just a dial away from you, anytime and from anywhere. Singh Movers have put in place an efficient customer care execution team at the backend to answer all your queries and concerns. We listen to you and place our self at your disposal all the time. You can mail us or call us as we are available round n the clock and because we are happy to help. affordable prices possible. It is our company’s main motive to offer their customers with all the services at low-cost so that the prices won’t lay heavy on any type of customer’s pocket. Now, this is a major doubt in every customer’s mind as many other service providers promise always to shift the stuff on time but do not actually do so. But why choose Singh Movers? Because Singh Movers And Packers is an on-time delivery company and do not let their customers disappoint in any case. Our timely delivery will always make you smile. Singh Movers is a company of Movers And Packers Melbourne at whom you can rely upon for all types of removals work. You need not to worry at any point of the shifting process. We are fully removals in Melbourne and its suburbs. Though we and our professional team never let any problem happen during the shifting process if sometimes it happens for the materials in transit, we pay up to $100,000. On the other side, in case of any harm to the public, we pay for the public liability around $10,000,000. When it comes to relocating, we are the best choice for you all over Australia. As all of us know packing and moving is not an easy job and so many Movers And Packers are available but hiring the best and quality Furniture Removalists is the toughest task. Singh movers will always be there at your doorstep whenever you need us. If you have troubles in your mind, you can clear them by contacting us at any time of the day or night i.e. we are available for our clients round the clock 24*7. We have made various packages that are all budget friendly. We even make packages at the moment according to our customer. Keilor park is a suburb of Melbourne which is around 17 km north-west of the Melbourne’s central business district within the City of Brimbank local governmental area. keilor park recorded a population of 2,719 according to the 2016 census. According to the 2001 ABS census, 39% of the population is of Italian or Greek origin. The average age of the area is 37, although the population is less than 35 or less than their 50s. The most common area of employment for men in manufacturing (25% men) and retail for women (21% of women).